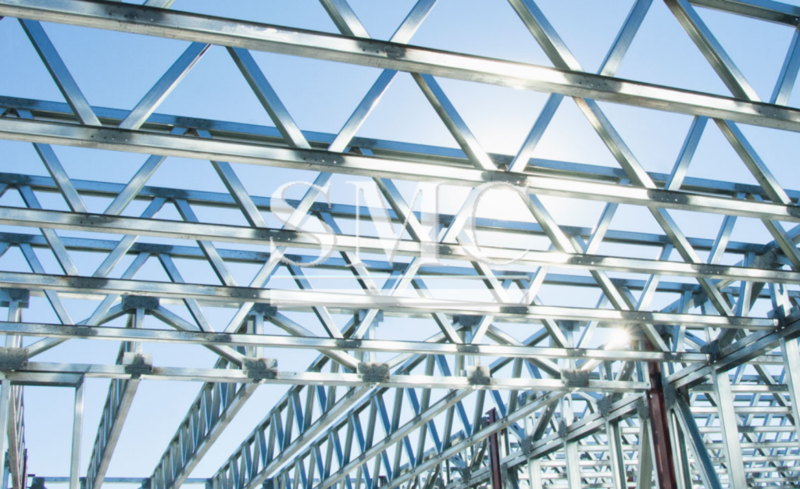 In the installation process of steel structure workshop, high altitude falling is the focus of construction safety management, especially in the construction of large steel structure plant, plant height of the larger, fall often more serious consequences resulted in not only loss of manpower, financial resources and credibility of the company, will also lead to a pause and duration of the delay. In order to prevent falling, the operating personnel in high altitude operation, must be the correct use of safety belt, safety belt should be low hanging. The operators must wear a helmet. When installing the component, using a crowbar correction component position to safety, must prevent crashes caused by slippage of the crowbar altitude; in the rain, winter, members often due to wet or product of snow and easy to operation personnel slip should be cleaning product after the snow to install, high-altitude operations personnel must wear non slip shoes square operation. Aerial personnel pass in the scaffold board, should focus on ideas, set foot on the probe plate and fall prevention. Use of tools and parts of the safety belt, should be put into the bag, can not be thrown down. In the upper cutting or welding cutting operations, measures should be taken to prevent cut metal or falls under wounding or fire. Ground operators, as far as possible to avoid the lower part of the work at the height of the stay or pass, nor in the crane boom and under the lifting of the component under the stop or through. Components installed, must check link quality, and correct, to pick the hook or dismantling temporary fixed tools, to prevent fall from components.The box set assembly, ban has nothing to do with the lifting of personnel.